In this paper, we present the results of an experiment evaluating human performance and cognitive workload by examining the response time and accuracy in a multi-sensory virtual environment. 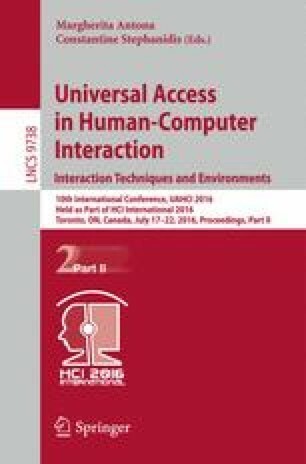 This study examines Haptic, Audio and Visual Environments (HAVEs). The results of this study indicate that there exists a combination of senses that increase performance and decrease workload.